I made several collages in September 2012, and a few just before the year ended and that is about it. 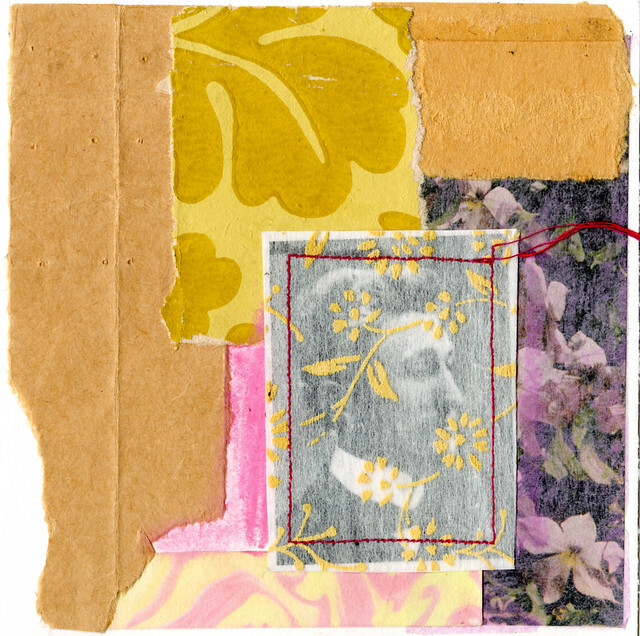 This one above, Captive for now, is one of the September collages that I really love. Instead of letting all scraps overlap the edge I’ve left them torn here. This makes the collage look like it’s floating, even though it’s on a square surface of watercolour paper. I love that! This entry was posted in Collage and tagged cut + paste, my art. Bookmark the permalink. You’ve inspired me with your 365 challenge. Very lovely collage. So peaceful to look at. Love this. And the stitched frame is perfect. very cool…as is everything you do. I love looking at yor blog!! !